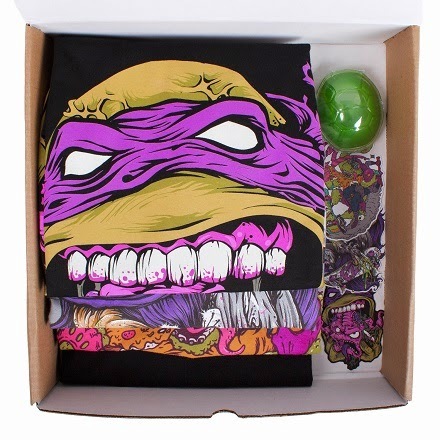 no mas pantalones: Electric Zombie "Baxter Box"
If you're an Electric Zombie fan, obsessed with the Teenage Mutant Ninja Turtles, or both - Christmas has come early with the delivery of the "Baxter Box." 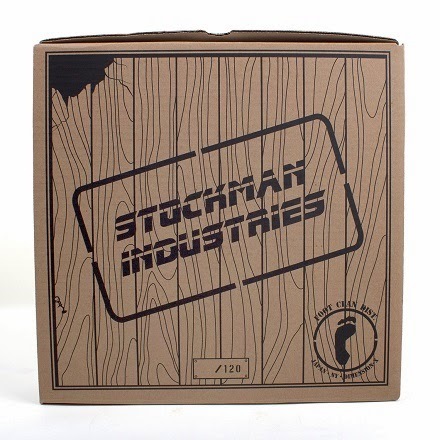 This sixth anniversary set is oozing with all kinds of TMNT goodness from the "Stockman Industries" branded box to updated reissues of three constantly requested shirts. 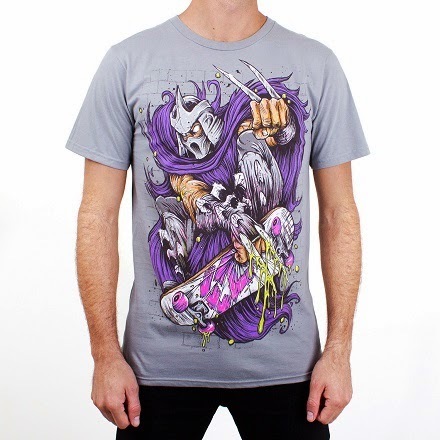 "Don of the Dead," "Thrasher," and "Mondo" are each also available separately, but are joined by a secret shirt that can only be obtained through the purchase of the box. This secret design is also repeated as an 18" x 24" poster, an illustration which will not be revealed until all of the box sets have been purchased. Add the stickers and shell full of mutagen, and this package is well worth the $100 price tag. You can read more about the creative process behind this special set in Kyle's own words over on the Electric Zombie blog. Pretty damn resourceful printing on the inside of the box, as the brown really gives the packaging the feel of a shipping crate. With my excessive spending this Black Friday weekend (on both presents for myself and others), I just can't swing the box set. 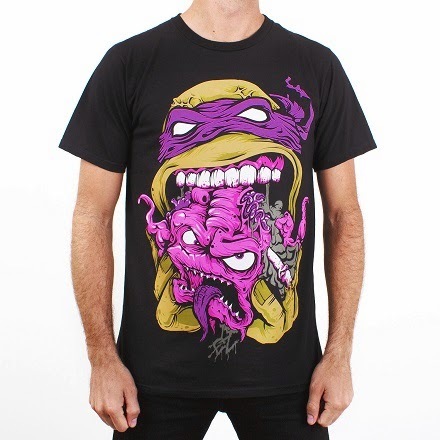 I hope to eventually buy all three TMNT inspired shirts if they're still around when I have the cash, but I had to make sure I at least scored the "Mondo" t shirt. This design gives this unappreciated gecko the love he deserves for being such a cool dude. 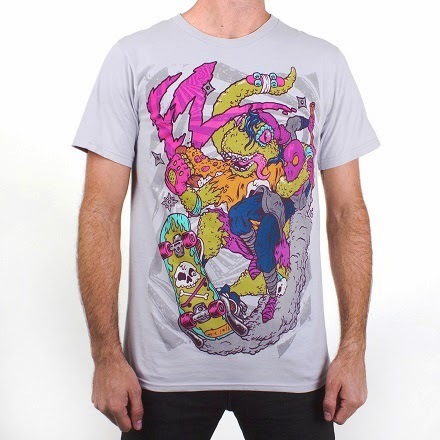 Everything is up for sale now in the Electric Zombie Merchline storefront, along with three new colorways of the "Dead Heads" toys.